ExpenseAnywhere offers invoice management solutions for business travel expenses, corporate card spend, and procure-to-pay suppliers. Its features include travel expense management, workflow automation, purchase orders, analytics, and more. Ready to get started with ExpenseAnywhere? Request a demo. As of the date this article was written (12/21/18), there are no up-to-date user reviews of ExpenseAnywhere online. 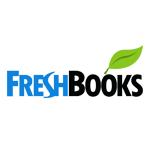 If you are a past or current ExpenseAnywhere customer, leave a review to help other business owners who are deciding whether or not to use the software. ExpenseAnywhere doesn’t publish its pricing plans online. Prices for similar software and service providers range from $0-$50/user/month for basic plans and up to $500+/month for more advanced features and larger sales volumes. Ready to get started with ExpenseAnywhere? Request a demo. Best Invoice Software for Small Businesses — Invoice software allows you to automate your customer billing process, stay on top of outstanding invoices, and maintain positive cash flow. In this article, we looked at the most popular options, reviewed them, and gave our top recommendations. What reports can ExpenseAnywhere generate? ExpenseAnywhere can generate category spend, cost code spend, quarterly expense distribution, invoice processing, tax, and aging reports, among others. 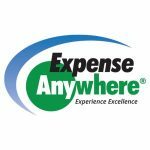 Can ExpenseAnywhere prevent duplicate invoices? Yes. ExpenseAnywhere sends notifications and alerts to avoid duplication of invoices. It also tracks and monitors all invoices to avoid losing any documentation. Not sure if ExpenseAnywhere is the right fit for you? Read our reviews of top invoicing software or check out one of these three ExpenseAnywhere alternatives.